What's up Everyone? 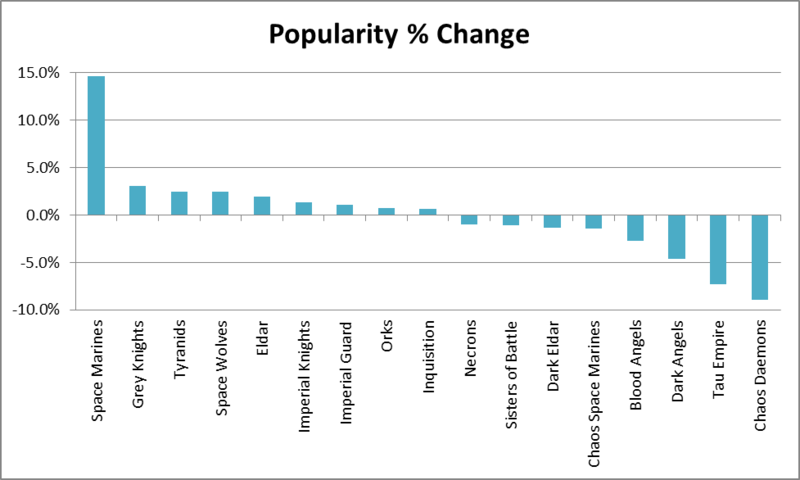 This week, everyone is back and ready to talk about the Tide of Tyranids and Blood Angels. 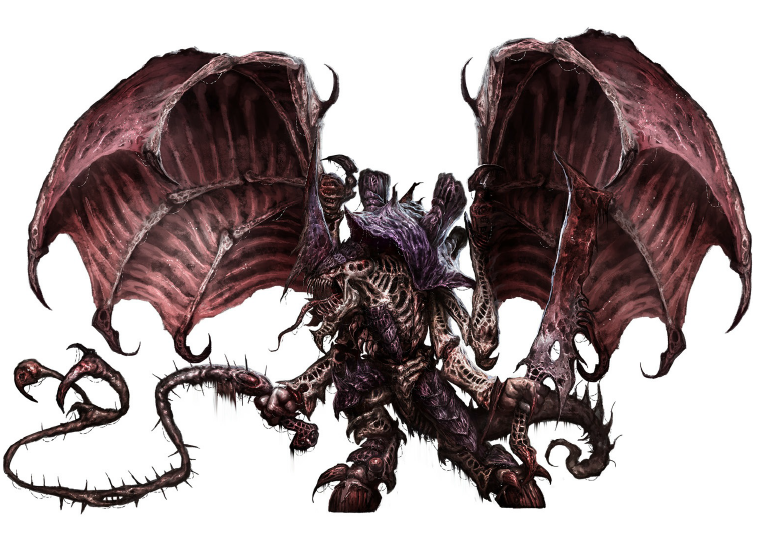 We talk about some of the lists we are liking, how some of the new Tyranids will fit into our lists, and some of the new list possibilities. We also talk about the Blood Angel Codex and some of the fun units and interesting builds from here. Of course, if you haven't hit it up, please check out the Facing the Grey Tide Budget Challenge. There are some people doing great work for their armies and the proof is in the posts. Head to FTGT Hobby Budget Challenge on Facebook to post, to join, and share your army. Over the weekend I finished my read through of the newest addition to the Shield of Baal campaign. Again, the first thing that really stands out to me with the book is the artwork. I didn't note any repeated skull themes, but it was nonetheless very nice images. 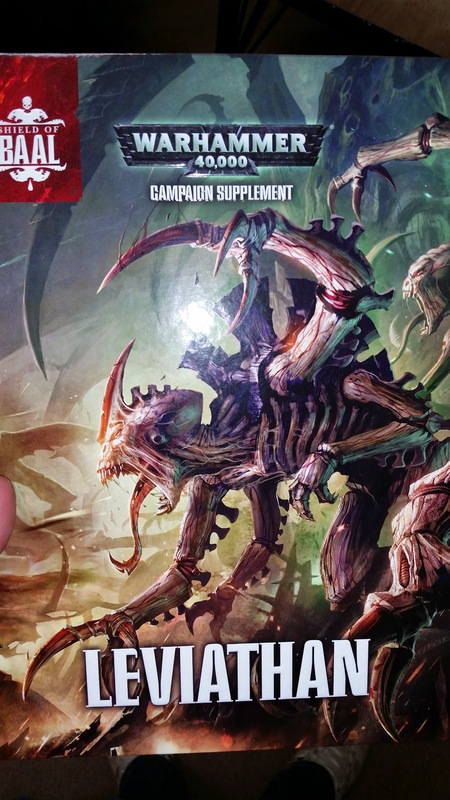 The take on the Tyranids in this series has been awesome, with a very unnatural and creepy look that fits with the longtime fluff descriptions of them. 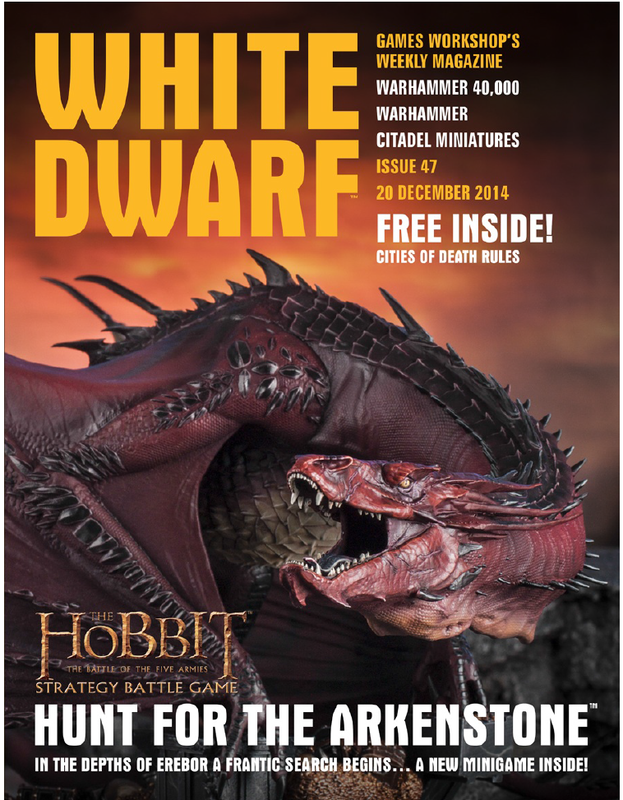 White Dwarf 47 First Look: More Formations! 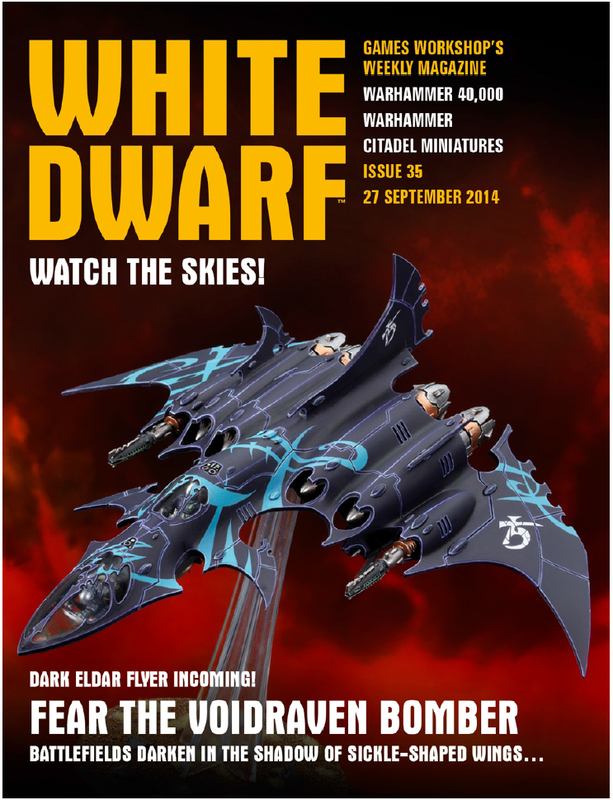 This week's White Dwarf is out and with it comes several Shield of Baal White Dwarf Exclusive Formations. There's also Jervis Johnson and the WD staff making up games with Poker Cards again for Fantasy and the Hobbit, but I'm going to gloss over that and just jump right to the formations. The Sons of Sanguinius have landed! Blood Angels first look! 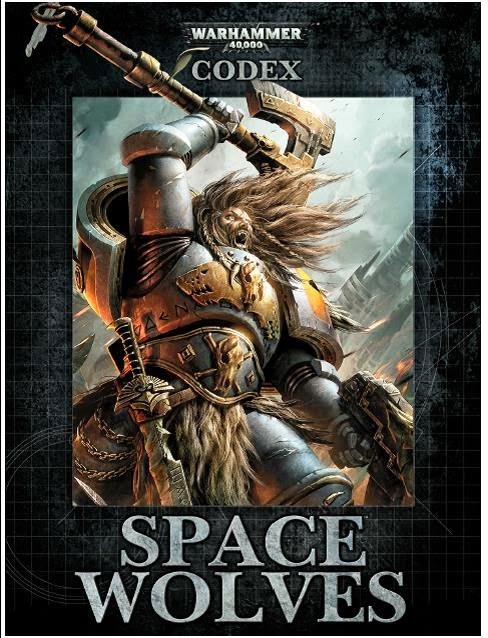 Hey everyone BeeCee here with a quick first look at the new Codex Adeptus Astartes: Blood Angels book that dropped digitally on Friday night! Blood Angels were my first army and due to alot of poorly painted/cheaply primed minis that I had that just won't work anymore, I have been stockpiling space marines to get my Blood Angels going again. All I needed was the new book.... Now is the time! 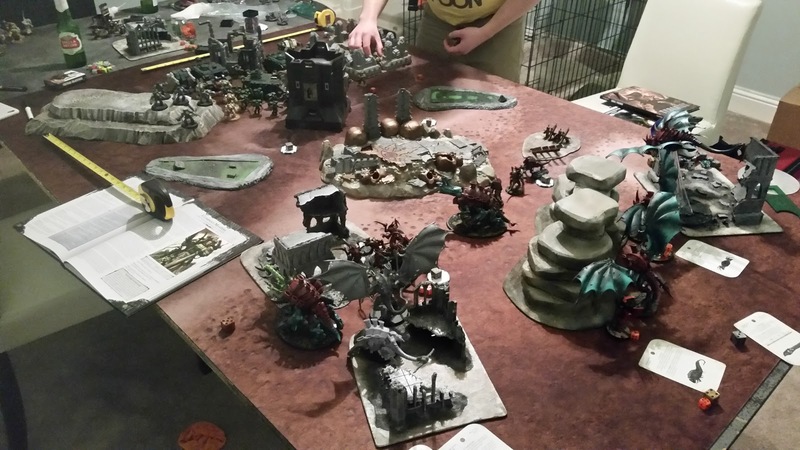 On November 22 and 23 I played in the Renegade Open at the beautiful Fantasy Flight Gaming Center in Roseville,MN and I wanted to spend a little bit of time to recap the weekend. Firstly, I had a great time. The folks at Renegade care about the hobby, they care about the players, and they want everyone to have a good time. You may remember we had Puck and David on our podcast to talk about the event and get us excited for it. Today we have a guest post from friend of the blog, Max Dubois, of Hellfire Painting, Torrent of Fire, and his new blog, The One Hour Army. How one man’s game plan can help you rock it. For some, this challenge is their only project and they are done by the 3rd of the month. I’m sure many of you are like me, juggling 2-3-4-5 project at the same time and having limited hobby time after the mandatory work/kids/wife/beer time. 1 Hour a day, everyday. 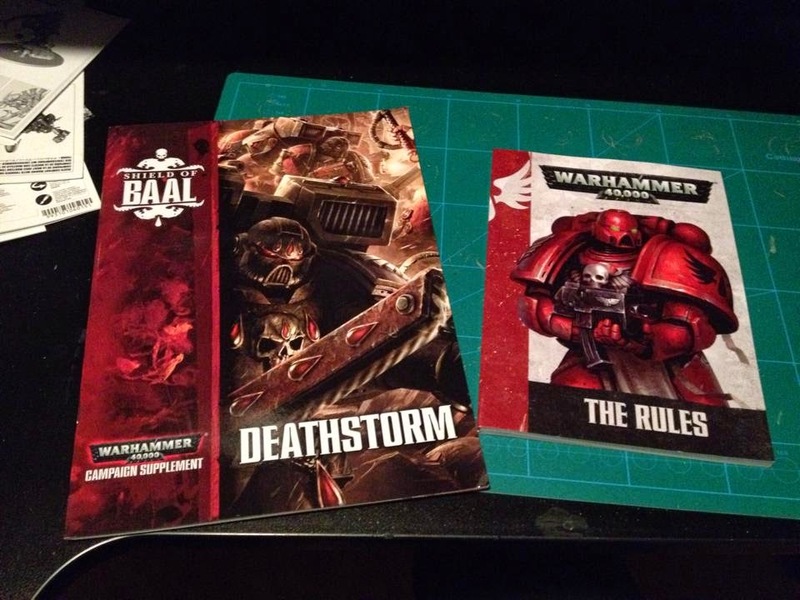 Some lucky hobbyists have gotten copies of Shield of Baal Deathstorm already and shared the special rules for the units included. 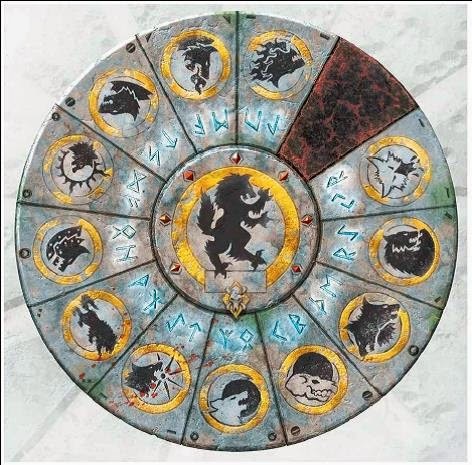 As with Stormclaw, the units have set equipment, but some get some pretty cool bonus special rules to counterbalance. Ron here to throw in my entry to the hobby budget challenge. 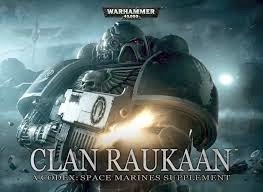 I will be tackling a good portion of my grey tide nids as well as a bunch of the new stuff. Since the new stuff isn't very cost friendly (points per dollar wise) I won't be as concerned with hitting a full army as much as adding to my existing force. What's Up Everyone? 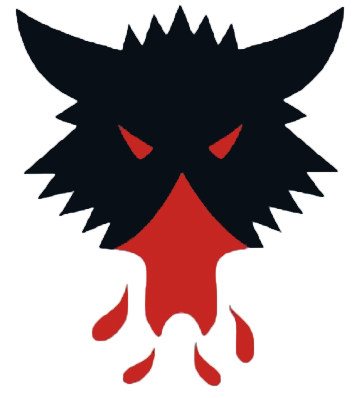 As you all know, I am the resident Space Wolf, and for that matter Space Marine, player on the blog. When Evan started to talk to us about the idea of this Budget Challenge, I immediately opened up BattleScribe and began making lists. I started thinking about all of the items I had for my armies, and after a lot of soul searching, talking to the boys on Google Hangout, and thinking about some of the plans I had for the future, I decided to create an addition onto my army. That being Bran Redmaw and his Company of Wolves. Hey everyone, BeeCee here once again! Firstly, All I can say is WOW. The participation for the Hobby Challenge has been amazing so far! The Facebook group is hopping! 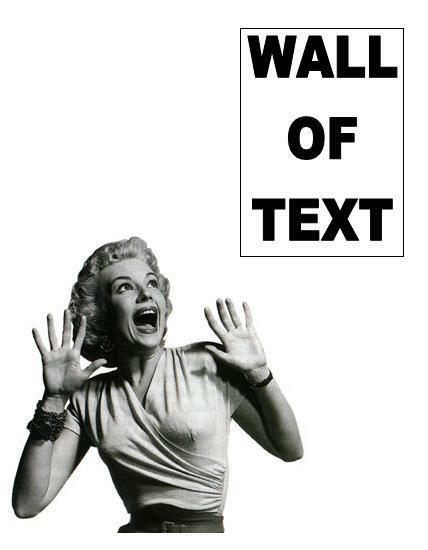 A big shout out to all of those that have been getting the word out and reposting on their blogs/Facebook/Twitter/What have you! Who has two thumbs and likes...... oh nevermind! 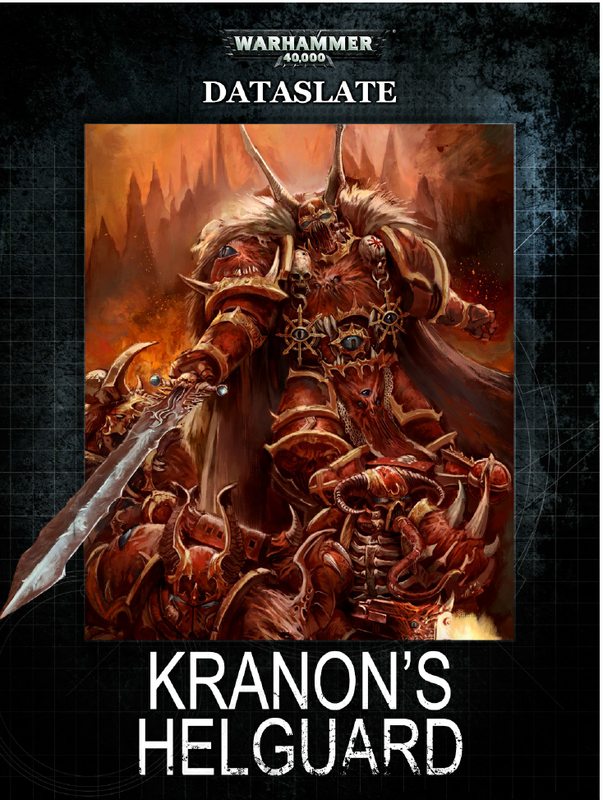 As we could have predicted from the Unrelenting Hunt dataslate on Tuesday, the Crimson Slaughter Dataslate, Kranon's Helguard, features the contents of the Dark Vengeance box on the Chaos side along with the expansion bundle box that was released recently. It's Advent Calendar time again from Games Workshop and Black Library. Last year this became considered a bit of 25 Days of Terror, as the Tau Firebase Cadre formation kicked things off, baffling everyone with such a strong formation. Now, with Formations being widely accepted and available, this becomes a little less intimidating. Today, on day two, we have a Dark Angel Formation, The Unrelenting Hunt. As some of you may know, today marks the official kick-off of our FTGT Hobby Budget Challenge. You can participate in the challenge by joining our Facebook Group. To get started, sometime this week you need to post up what you plan to get completed in December within your hobby budget. Check out the full rules here and the early FAQ. What's up Everyone? 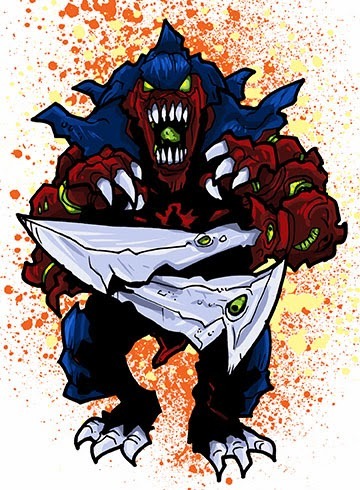 Last week Bryan, Evan, and Ron got together to talk about the new Nids that are being released, the upcoming Facing the Grey Tide Budget Challenge, and Bryan getting ready for the Renegade Tournament. The Boys run down a lot, talk about some of the fun things the Nids are getting, and talk a little shop. What more could you want from a Thanksgiving Day Podcast? Let the New Nids Drop. I wrapped up reading through the fluff book and enjoyed it immensely. The visuals are very high quality, both original artwork and diorama/showcases for new models. 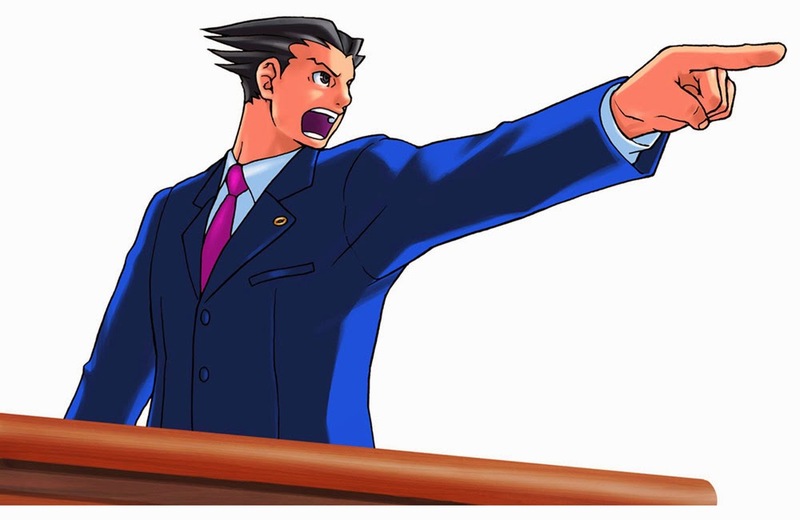 I will talk about how things go in the story line, so Spoiler Alert below the bump. 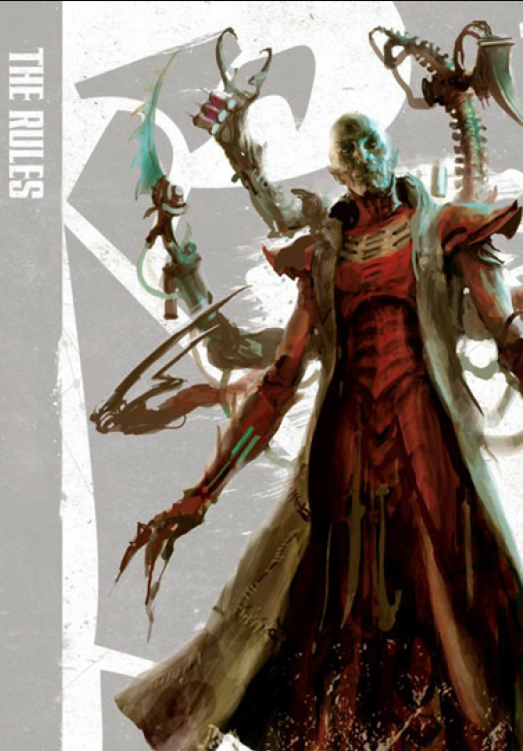 I was lucky enough to pick up my copy of Shield of Baal: Leviathan today and have taken a quick look at the Rules book, particularly skimming through the Cities of Death and Death from the Skies rules. 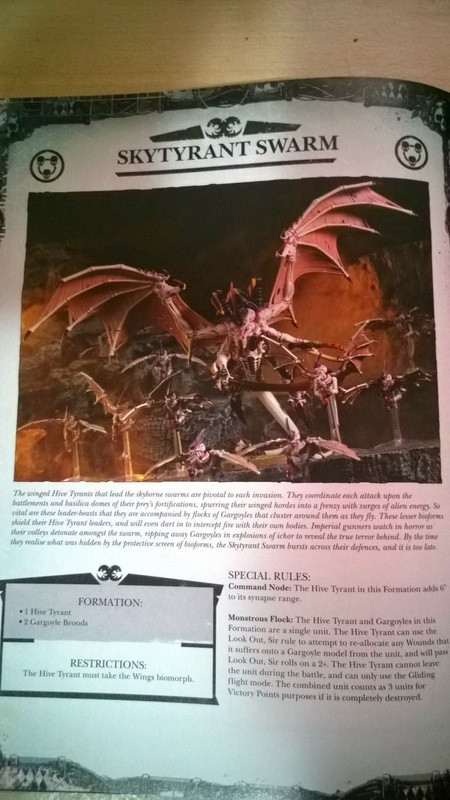 The Shield of Baal rules for Tyranids have been leaked (finally - been on the lookout since Monday) and there are a couple gems in there right off the bat. My two favorites are the Skytyrant Swarm and the Sporefield. The former allows a Flying Hive Tyrant to be joined to two units of gargoyles for 20-60 ablative wounds to get him across the board. The other provides recycling Spore Mines and Mucolid Clusters. 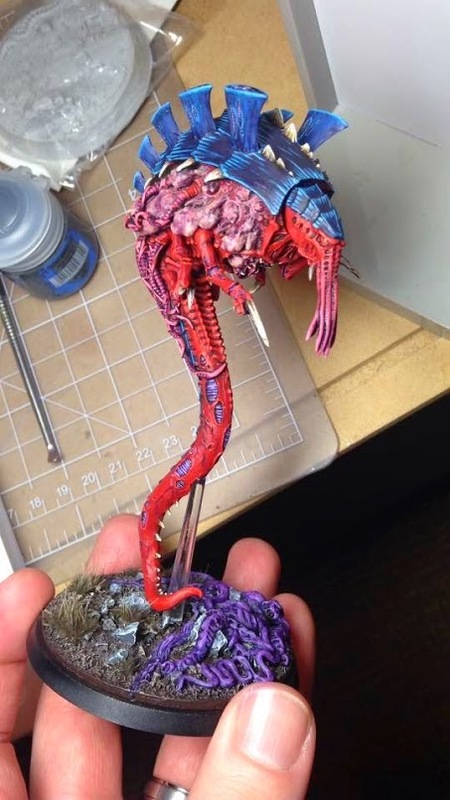 Today we have a guest post from my buddy, Tom, who is joining us for the FTGT Hobby Budget Challenge and starting a Tyranid army. Knowing that my time as a doctoral student to both play and paint are limited, I wanted to build a competitive list where I would get the most “bang for my buck.” I’ve dabbled in other armies but most fizzle out because what my desire to paint often outweighs my desire to play. I enjoy painting large models with unique color schemes and, with this is mind, decided that a new Tyranid army was in order. 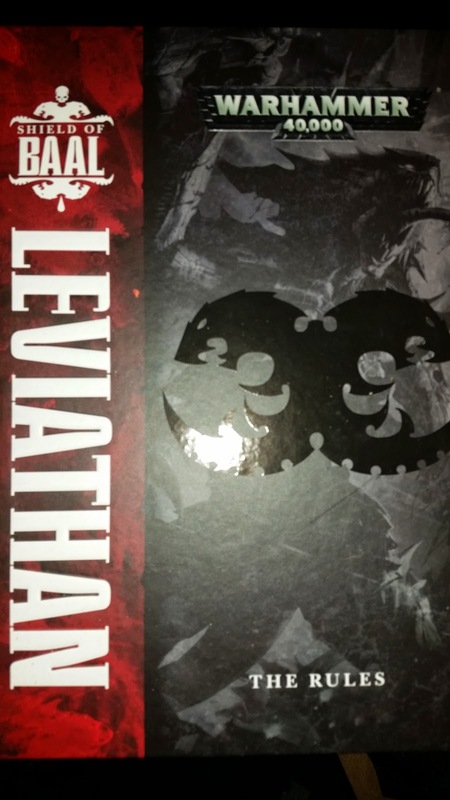 When I was looking at all the various armies that GW puts out, along with all the box sets offered I decided there was no better deal than the Wrath of the Hive Mind. Containing a Hive Tyrant, Tervigon, 3 Tyranid warriors and 20 Termagaunts, an individual retail value $221 for only $165 was the ideal way to start off. Not only saving money but also jump starting a new army in grand fashion. Since I will have the most of December off, being in between semesters, I felt that if I didn’t use my double up month early I might not get the chance to paint everything before it was time to make my next month’s purchase. While the Wrath of the Hive Mind was being ordered I took the chance to look at what competitive Nid lists looked like, setting the layout for the rest of my budget and army. I see the potential in running a Skyblight Swarm, and wanted to base the rest of my purchases around this formation. Looking at the dataslate I knew I needed 3 Harpy/Crone kits and 30 Gargoyles, having the Flyrant and Tyranid Prime accounted for in my first months purchase. With the destruction of a gargoyle unit coming back on a 4+ I felt that I needed to capitalize, not only on the model count boost, but also on the budgeting of such a formation. These additions added up to $327, adding to my $165 gave me a total of $492. Like the final piece of a puzzle I realized that I could add another box of termagaunts for $29, not only giving me an under-budget total cost of $521 but also now making my tervigon a troops choice, since I will have a least 30 termagaunts, 32 to be exact. It’s like the stars aligned and my destiny to lead this army was solidified, with some careful accounting, and the approval of my wife. December 1st can’t get here soon enough! Thanks to Tom for sharing his plan. For anyone else joining in on the challenge who wants to share their plan, monthly purchases, or updates on the blog, shoot me a message on Facebook, Google+, Twitter, or through my email. Once we settled on the time frame and expectations for our Hobby Budget Challenge, I debated several different armies to paint up for the challenge. My biggest debates were between completing an army wasting away in my closet or trying out something cool and new. 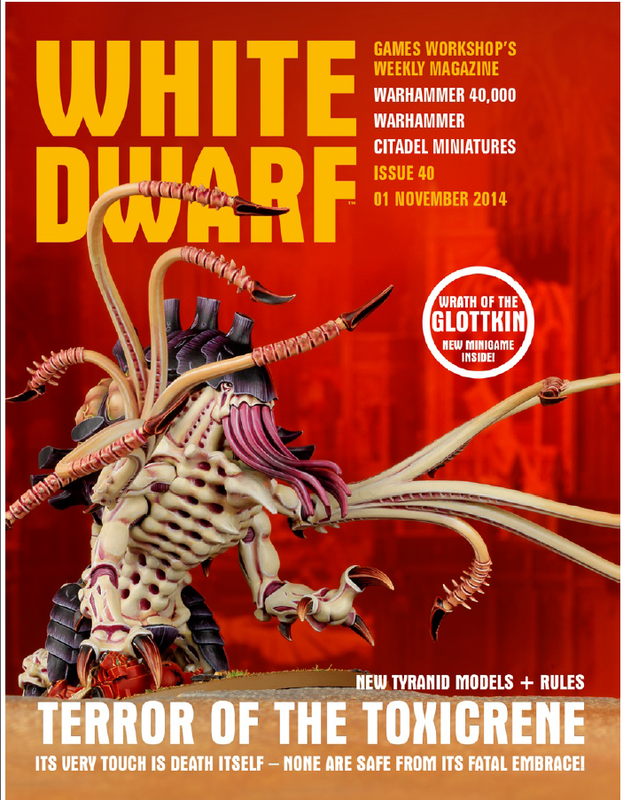 This week's White Dwarf features the new Tyranid dual kit of the Zoanthropes and Venomthropes. 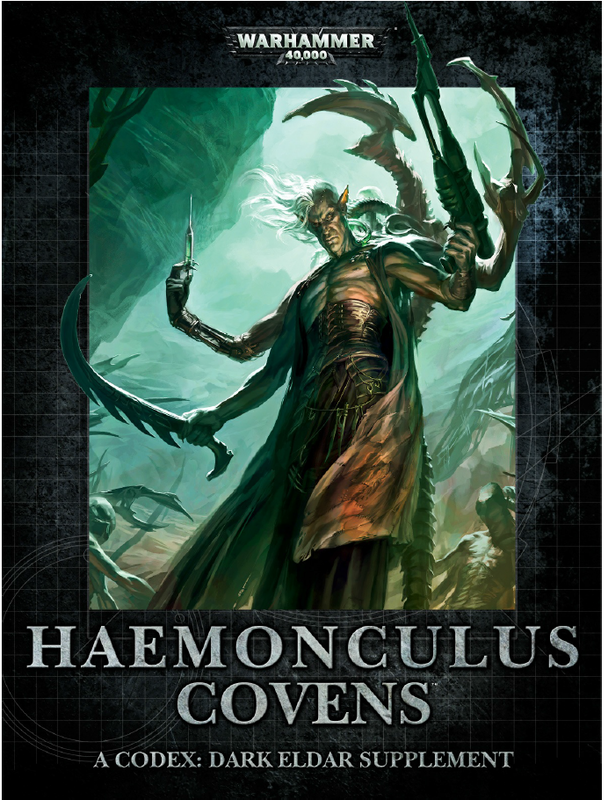 The kit includes the leaked rules and background for the more or less replacement for the Doom of Malan'tai, the Neurothrope. Additionally, this issue announces the upcoming 40k Campaign, the Shield of Baal. What's up everyone? With +Evan S announcing the Budget Challenge that we are taking on, I spent many hours looking into what part of a new army, or additional army, I wanted to work on. I started to look at my two armies that I have, Space Wolves and Iron Hands, and laid out the pros and cons of what I would do with each list. After a lot of thought, soul searching, and talking to the rest of the Grey Tide, I decided to keep with my Space Wolves and tack on another Wolf Lord. I have Logan, Ragnar, Krom, and Harald, but I wanted to go with a company that always had a special place in my mind. So for the Budget Challenge, I am going to start building my Bran Redmaw Army, The Bloodied Hunter. First things first, we have a Facebook Group for everyone interested in joining the FTGT Hobby Budget Challenge and sharing their progress. To recap, the budget challenge is a six month challenge in which we will make monthly purchases and paint schedules. At the end of the challenge, participants should have at least the core of a solid army. The challenge kicks off December 1, 2014, and will run through the first week of June, 2015. This is my first "commission" piece. I include the quotes because I am not getting paid for this piece, it is instead a present for FTGT's resident Space Wolf, Chandler. I had intended to make it a Birthday gift, but it's a little late for that for various reasons. What's up everyone? The boys are back for another podcast involving the operators of The Renegade Puck and David. They came on to talk about the tournament, a little of the history, and some of the ideas and rules that they had for the 40k side of the Open GT. Things get a little crazy, a little hairy, and some interesting stories fall into the podcast. It is a wild night on the Podcast thanks to the Renegades. Crack a Bottle and Enjoy! Army List Challenge, Help me build an army to paint! So in case you haven't heard, we are doing a hobby/budget challenge with the blog for the first part of the year. Most of the guys are starting a new army and buying a bunch of new models. Well I want to do things a little bit differently. As you probably know, because I've said it about 900 times, I have a large collection of Tyranids. 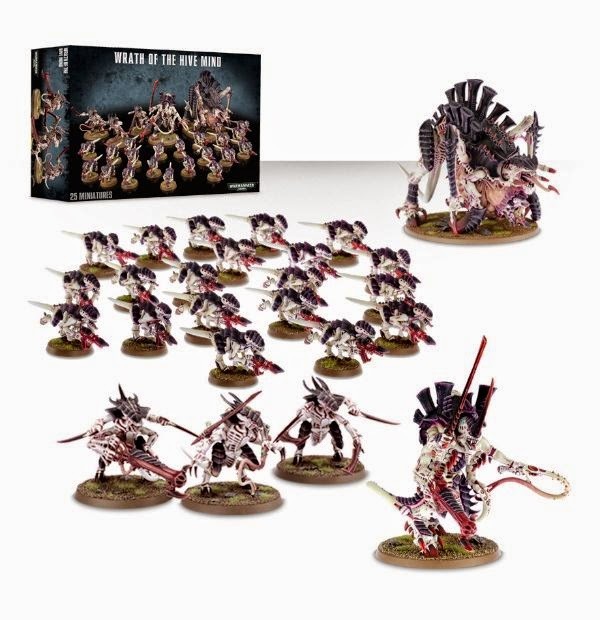 I want to paint 1500 points of those Tyranids for the army challenge. With the leaked rules for the Tyrannocyte and Sporocyst, and the huge waves they will make in Tyranid list building, I couldn't help myself and made a dozen or so lists that seemed intriguing. My first instinct was to add all of the deep striking. Unfortunately, while I think the Tyrannocyte is a good value, 75 points adds up very quickly and more than three starts to get unwieldy. 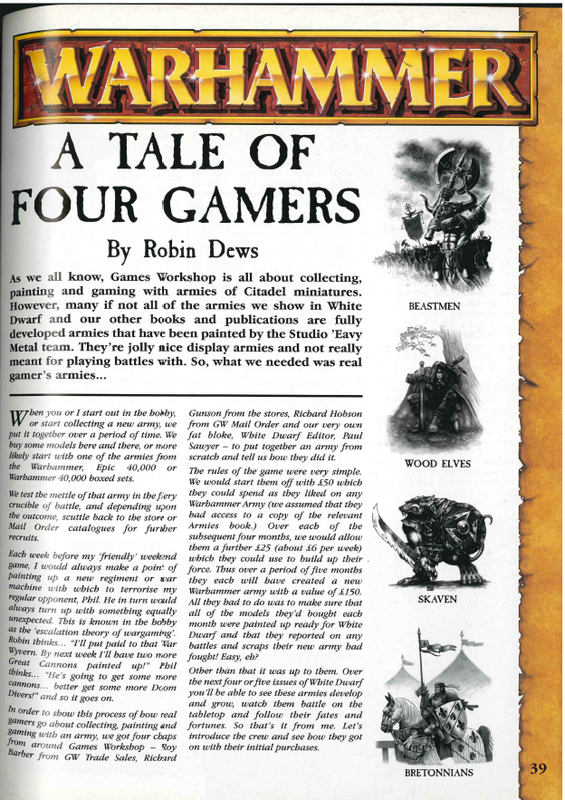 Recently I was digging through my old White Dwarfs and stumbled on a series from way back that I really enjoyed: A Tale of Four Gamers. 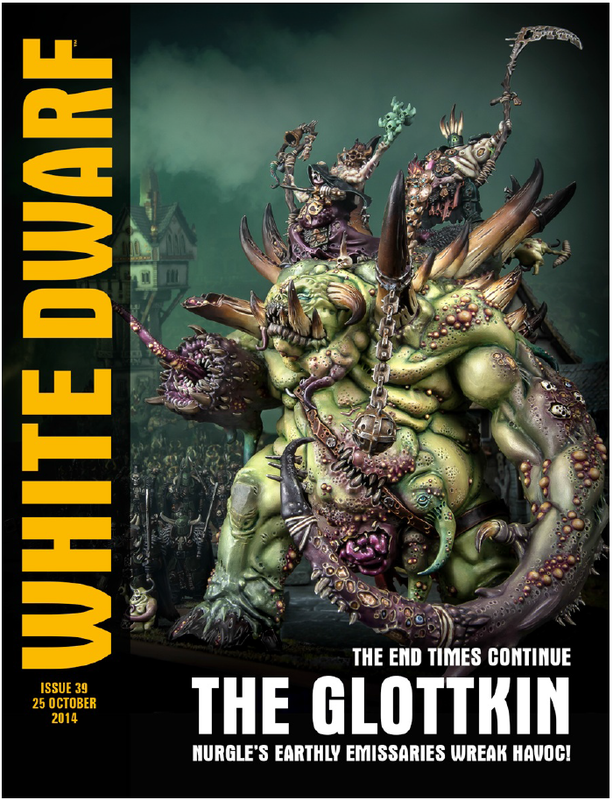 This was a regular series in White Dwarf for five months that followed four White Dwarf staffers as they followed a set budget and build and paint an army from scratch. In a Tale of Four Gamers, they used the relatively modest budget of £50 to start and £25 for following months. Thanks to inflation and pricing changes (including everything coming in boxes instead of blisters as in the past) we will have to use a bit higher budget, but the end goal will be the same. More pics have been leaked, and the other options from the kit have been leaked, including some rules for the Mucolid and Sporocyst, which is the multi-kit with the previously posted tyrannocyte. It looks like the Mucolid at least is on a 40mm base, lending some credence to the idea that three will be on the kit. 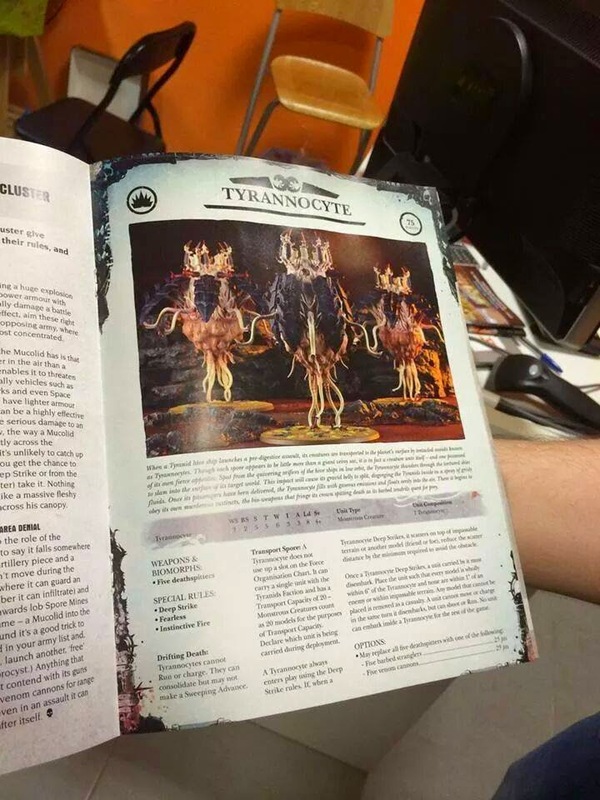 So this morning a picture of what looks like next week's White Dwarf was leaked showing the rules for a new Tyranid model - the Tyrannocyte, which looks to be a replacement for the defunct Mycetic Spore. 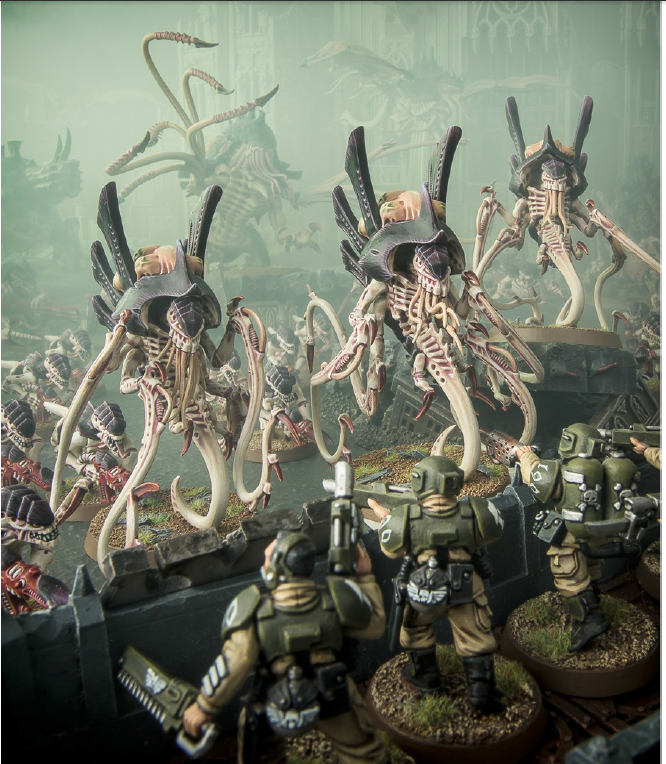 This is a huge game changer for Tyranid players as it totally changes the available tactics for the army. I've been in a bit of a slump lately. Since NOVA right about a month ago, I haven't picked up a brush. I also haven't played any serious games (the two I have played I used 12 models in my army). I also haven't been keeping up with my Horus Heresy series, either reading or reviewing. It's a slump. 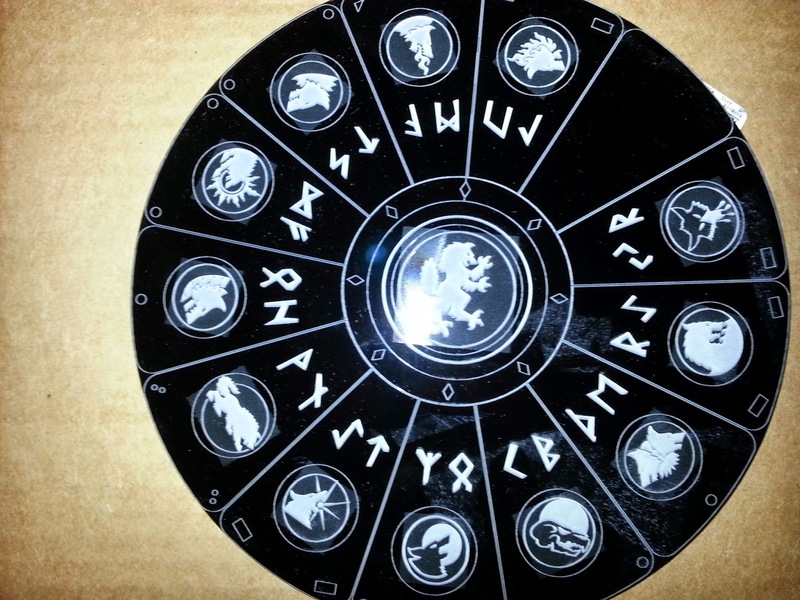 Something I've latched onto recently to try to get some perspective is a tool I stole from some Malifaux enthusiasts, who posted a Model tracker for their hobby progress. If nothing else, I am an Excel nerd, so I took their work and adapted it for my 40k collections. 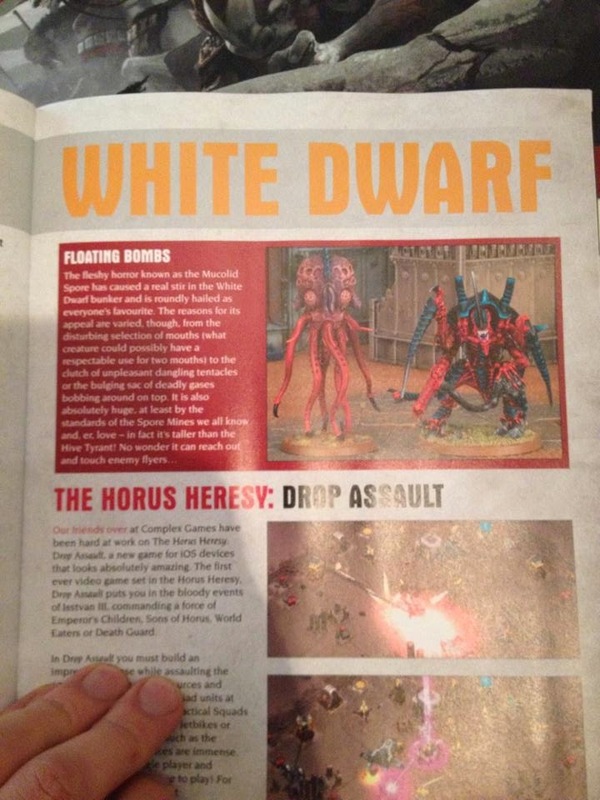 It's been a few weeks, but I'm back with our White Dwarf first look. 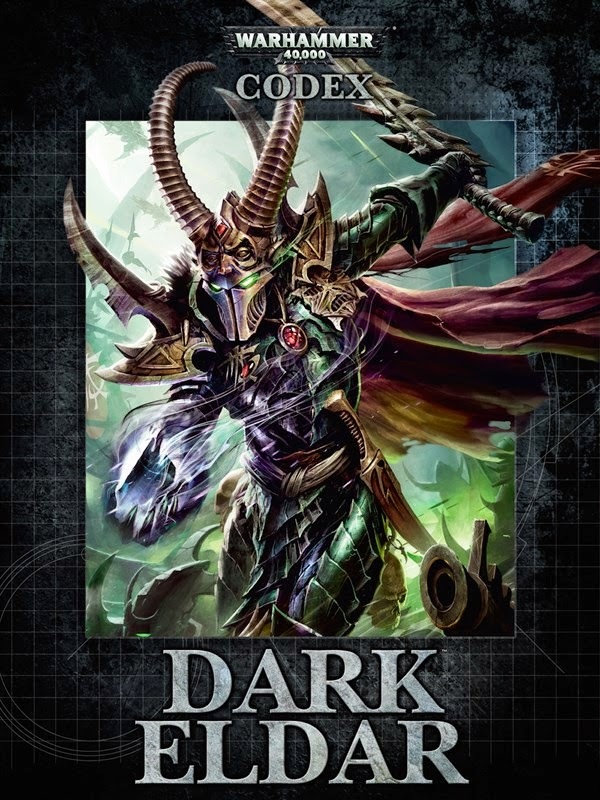 This week is the second week of the releases for Dark Eldar, and includes the codex (and special editions). This week's releases include the Dark Eldar codex and two special editions, the featured Voidraven Bomber, two new combination kits of a Raider and either Wyches or Warriors, Dark Eldar Datacards, and a Dark Eldar Painting Guide. 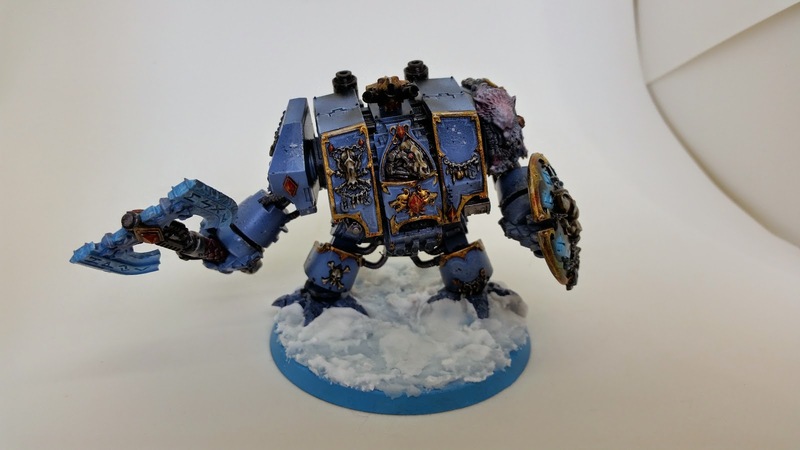 With Wolves always on the mind, I have been thinking of some fun themed lists that will bring Logan Grimnar into play riding atop his mighty sleigh. It starts with the Great Company of Egil Iron Wolf, and ends in a crazy amount of high armor, angry Wolves looking for Blood. This is a list that I have started thinking about because of the fact I have some Land Raiders, I want to play Logan in a List where his sled can ride free, and something that would be fun at any event, even in a loss. So let the Iron Wolf Ride! For this edition of Rules Lawyer, I'm going to look at an issue +Yanni brought up last week: which goes first, declaration of Markerlights or Jink? To summarize - markerlights still break the game. Let's get into it.